Do your Christmas cooking like the pros this year with help from one of the video masterclasses with insider tips produced for the Tesco Food Club. The videos show you all the essential techniques and savvy seasonal shortcuts you need. Bored of Christmas cake? Here's an indulgent alternative that's quicker to make. Swiss rolls are a versatile cake and combine the lightness of fluffy sponge with a rich filling. 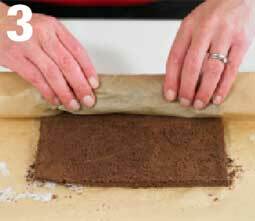 Here weve gone for all-out chocolate to make a Christmas yule log. 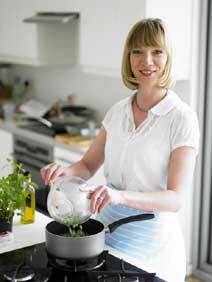 From a young age, Rose Smith has had a passion for food, cooking and ingredients. She learnt the basics from two other talented cooks - her mum and granny - and then honed her skills at the Ashburton Cookery School in Devon. Rose has been editor of Tesco Food Club for nearly two years. The magazine is a celebration of food - from delicious ways to cook with seasonal fruit and veg, to everyday and weekend recipes and expert tips. To help all cooks prepare for Christmas and learn some savvy skills, Rose and the Tesco Food Club team created www.foodclubonline.com. This website features six really useful how-to videos, from how to prepare a whole salmon (without having to buy an expensive fish kettle) to preparing vegetables. "If you only do one thing this Christmas," says Rose, "make sure it's blanching your Christmas dinner veg such as sprouts and carrots. Prep and plunge them in boiling water on Christmas Eve then store in the fridge overnight. As your turkey is resting, you can quickly finish cooking them - either by glazing in pan or reheating in the microwave, then serve. No last-minute rush and no soggy veg, perfect." Swiss rolls are a versatile cake and combine the lightness of fluffy sponge with a rich filling. 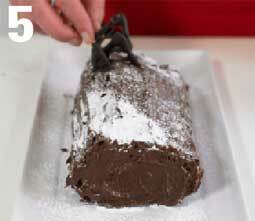 Here weve gone for all-out chocolate to make a Christmas yule log. 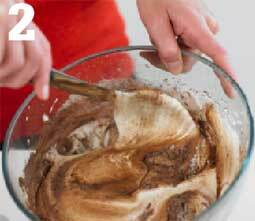 Sift the flour and cocoa into the bowl and fold in using a large metal spoon until completely combined. At this stage, you don’t want to loose any air from the mixture so use quick, careful movements. 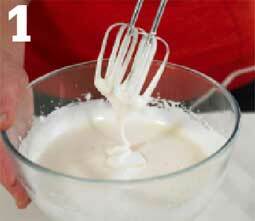 Add 1 - 2 tbsp of hot water to loosen the mixture then fold in again. Put the mixture into the tin, spreading it evenly into the corners. Cook for 8 - 10 minutes. Gently unroll the sponge. Don’t worry if it cracks as it’ll be covered with icing. Spread the sponge with about half the butter cream. 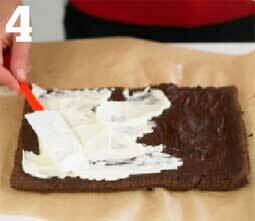 With another spatula, add a layer of whipped cream. Reroll the sponge, using the paper to start you off. Transfer to a plate then cover with the rest of the butter cream making bark patterns in the icing. For a lovely, airy mixture, take the eggs out of the fridge an hour before you need them as they will whisk to a greater volume. Chill in the fridge. Before serving, dust with icing sugar and decorate with chocolate decorations (see our How to make chocolate decorations video masterclass).